After his very dominant “grappling” win over the previously undefeated Mike Winters, Ryan Quinn was awarded his BJJ Brown Belt. Ryan has been competing in MMA since 2008 and jiu-jitsu since 2006. His strong wrestling background has propelled him to the upper echelon of belt colors. 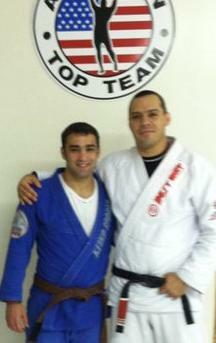 Quinn has had much success on the grappling mat including a 2009 Blue Belt World Championship.